Attorneys for accused killer Joshua Komisarjevsky lost their bid to have the jury sequestered for their client's upcoming trial. It was July 2007 when Joshua and convicted killer Stephen Hayes broke into the Petite home in Cheshire. Dr. William Petit was severly beaten, his wife Jennifer Hawke, and two daughters, Hayley and Michaela were killed. The case has received widespread, almost viral, publicity, and questions remain as if there can be such a thing as an impartial jury. 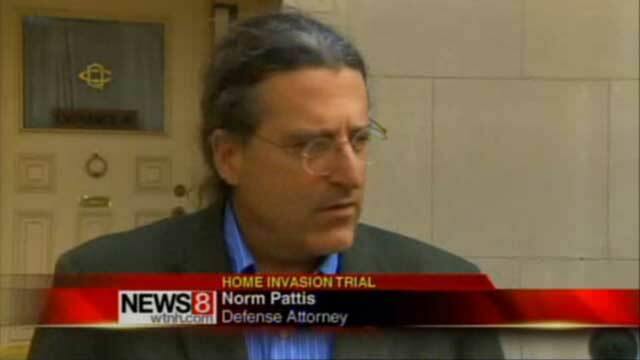 Norm Pattis is a well-known Connecticut defense attorney. He said, "Given the ubiquity, the ever-presence of Twitter and Facebook, the above-the-fold coverage when you walk into the courthouse, juries should be sequestered. The fact that we refuse to acknowledge the 24-7 saturation of coverage, of this significance, is ridiculous to me." At a hearing this morning in New Haven, Judge Jon Blue denied a defense motion to sequester the jury for the trial, which is scheduled to start a week from today. Defense attorney's also asked for clarity regarding the 17 counts against their client. On Tuesday, the state will present information as to why Komisarjevsky is either a principal, an accessory, or both to the crimes. "It's a chance to make your list, make sure you have everything in order because hell is coming, and you're going to face it. The state of Connecticut is determined to see this man dead, and your responsibility is to throw every roadblock you can up," Pattis explained. Komisarjevsky defense also tried to bring up the issue of moving the trial to another courthouse. Judge Blue said he would hear any new motions, including a change of venue, at a hearing on Friday morning. Hayes was found guilty of those crimes last year and was sentenced to death.